The Davy Crockett is the ultimate portable grill. 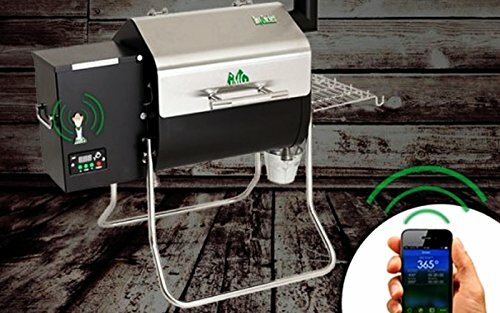 It comes with a digital WiFi controller (control and monitor through our iOS or Android mobile application), a meat probe, a peaked lid for stand-up chicken/ large fowl/ rib racks, a convenience tray with utensil hooks and our new open flame technology grease tray. Also included is Sense-Mate, a thermal sensor which constantly monitors grill temperature. It can run on 12V or 120AC so it's perfect for home or camping, tail-gating, hunting, house-boating, music festivals or anywhere you can take it! Weighing in at 57 pounds with fold-able legs, it can be placed in the trunk of any car. If you have any questions about this product by Green Mountain Grills, contact us by completing and submitting the form below. If you are looking for a specif part number, please include it with your message.